As of February 1st, Chicago retailers are now adding a 7-cent charge per bag to cut down on disposable bags that are rapidly filling our landfills. Many other cities in the US already have a bag charge in place and I am sure that many will follow suit. As an avid shopper – for shoes, clothes, groceries and much more – I am not opposed to this charge, but I am not planning to pay it either. For me it is not about the extra $0.07, which is minimal in the grand scheme, instead it is about acknowledging that I want to do my part in caring for the environment for our generation and future generations. With that said, I am finding that many retailers are making it extra easy to BYOB by giving away some really cool bags with a purchase. 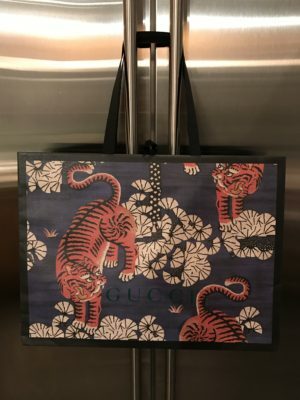 For example, I received this bag from Gucci that is both gorgeous and reusable. If you want to step up your reusable bag collection, here are a few options, each made from different materials. 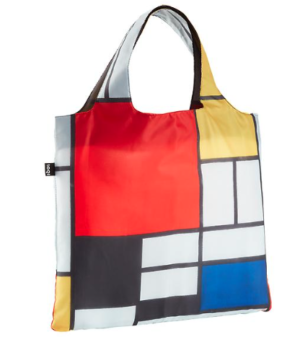 Piet Mondrian Reusable Tote from the Container Store. 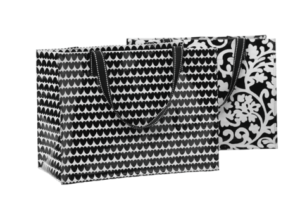 Holds up to 40 pounds, made from washable polyester and folds into a tiny pouch that is stash-able in your purse. Tote Bag from Green Girl World. 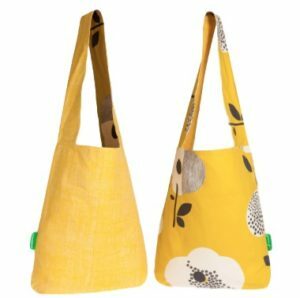 Canvas tote that is washable and reversible with an extra wide strap for comfort. 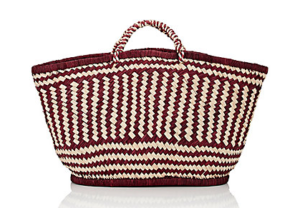 Soeur Vienne Basket Bag at Barneys. Woven straw basket bag is perfect for your fruits and vegetables from farmers market. Black Hearts / Vine Department from Mixed Bags. Polywoven plastic that wipes clean and holds over 50 pounds. These reusable bag examples are just the tip of the iceberg. There are so many fabrics and patterns available to suit all personalities and even outfits! Find the bags that work with your style and feel good knowing that every time you make a purchase, there will be one less disposable plastic bag in our landfill.